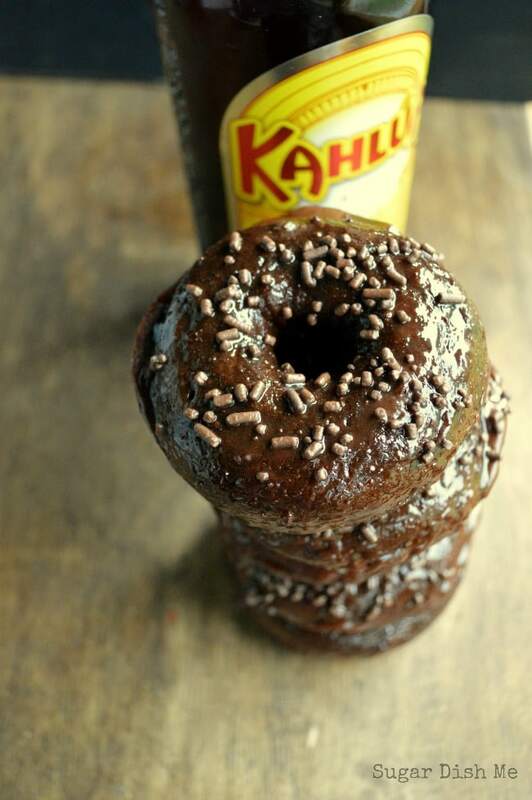 Rich dark chocolate doughnuts topped with chocolate frosting and the delicious rum + coffee flavor of Kahlúa! 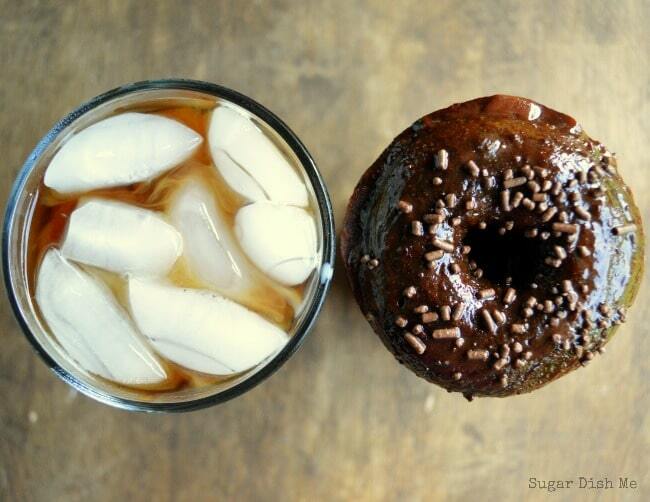 Chocolate Kahlúa Doughnuts and Iced Kahlúa Coffee are a delicious way to shake up your summer routine. Can you even think of a more perfect pair? Coffee and donuts are happier together than peanut butter and jelly. You get the sweet, the rich depth of flavor, the delicious cake texture (because let’s be serious about our doughnuts here: those cake donuts? They were made for dunking in coffee. ), and that nice brew, sweetened and creamed to your liking, to wash it all down. Made for each other. I’m telling you. I think by now we have all realized that I am completely in love with all the breakfast-ey brunch foods, so it stands to reason that I was bound to find a way to shake up my summer with Kahlúa AND brunch. And since champagne and vodka are both perfectly acceptable brunch items (hellooooo mimosas and Bloody Marys! ), I decided that Kahlúa, with all it’s bold coffee flavor needed to make that list. I’m actually not sure why I hadn’t thought of it before — coffee liqueur totally screams to be invited to brunch, right? I added it to to the chocolate cake batter for these baked Chocolate Kahlúa Doughnuts. I added it to that perfect dark chocolate frosting. And then! I added it to the iced coffee. Summer is such a great time for get-togethers and long, leisurely goings-on, and while I love hosting a good backyard BBQ as much as the next person, I’m really excited about serving this version of coffee and donuts up at a Saturday brunch. In the air conditioning. Or the shade of our big pecan tree. Before the heat of the day swallows us all up and the makeup melts off my face. Kahlúa would also love to help you shake up your summer with a fun little giveaway! 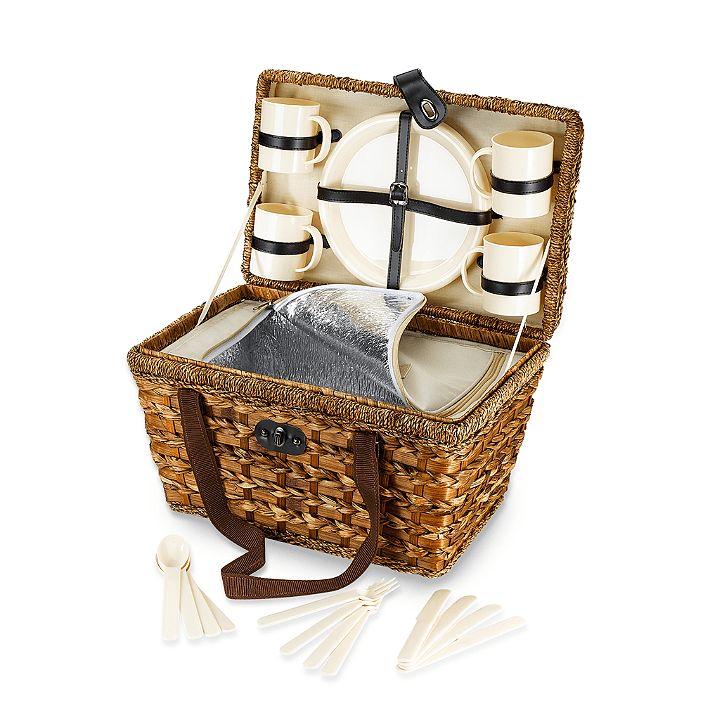 The winner (U.S. residents only) will receive a summer picnic basket that includes a cooler to keep all your cocktail fixin’s nice and chilled, a Kahlúa tumbler and martini glass, and a fun little recipe card with some top signature cocktails! TO ENTER: Just leave me a comment on this post telling me your favorite flavor of doughnut, though I am sure that after you make these, they will top the list! Rich dark chocolate baked doughnuts with the delicious coffee flavor of Kahlúa in both the batter AND the glaze! Perfect for a brunch or a fun evening with friends. Preheat the oven to 375°F. Lightly spray 2 regular (not mini) doughnut pans with cooking spray. In a large bowl whisk together the flour, unsweetened cocoa, granulated sugar, baking soda, and salt. Make a little well in the center of the bowl. Add the eggs, buttermilk, Kahlúa, sour cream, oil, and vanilla. Lightly beat the eggs with the other ingredients in the center and then begin to stir everything together with the dry ingredients. Mix until just combined. Divide the batter evenly between the prepared doughnut pans. The batter will be THICK. The doughnut cups in each pan will be full mostly to the top. Bake for about 8 minutes, or until a pick comes out clean. Let the doughnuts cool in the pan for a few minutes before letting them cool completely on a wire rack. 1. These will keep for several days in an airtight container BUT! Please note that the moisture content from the doughnuts in an airtight container will un-set the frosting. Still good! But sticky. I think doughnuts are always best on the day you make them. 2. I have made this recipe with both sour cream AND Greek yogurt. With the buttermilk, I much prefer the sour cream or the doughnut batter will have just a bit too much tang. 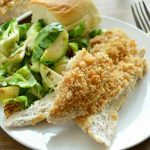 If you opt for regular milk you can certainly use plain or vanilla Greek yogurt in place of the sour cream to yield delicious results. Fill your glass to the top with ice. TIP: I like to keep a few ice cube trays full of frozen coffee on hand. It keeps your iced coffee from getting watered down on a hot day! Pour the Kahlúa over the ice. Then add the coffee and cream. TIP: sweeten the coffee before you chill it so there are no sugar granules clinging to ice in your drink. This is how you do breakfast! Hello beautiful donuts, won’t you be mine? Kahlua in the donut and frosting? 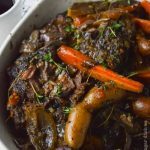 I love you for this recipe! These doughnuts sound like they will be my favorite. I find anything on your sight I have made is always great. Ok, I think these are the best donuts I’ve ever seen! Great recipe, Heather! OK….sitting here at work with my mouth absolutely watering. Sure wish I could take a sip and bite!!!! So , you make donuts, too? You amaze me. These sound like a treat to die for. And the drink awesome too! I love any donut with frosting and sprinkles! It does not get better than this!! Coffee and donuts 🙂 Love love these!! PS: Favorite donut flavor is vanilla but I must try this to combo ASAP! Greatest doughnuts ever, these are amazing!!! Kahlua in my donuts? Yes please! These look awesome! Chocolate coconut doughnuts are my favorite although given my love of Kahlua I can’t wait to try your recipe! 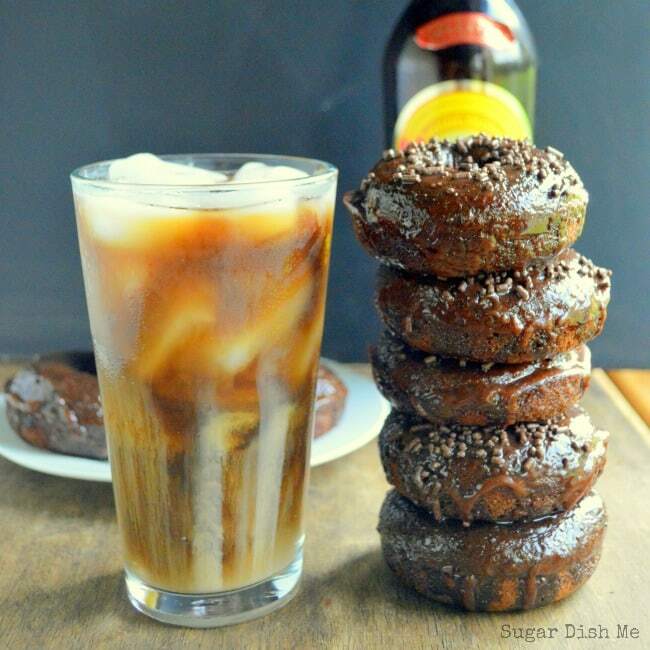 Donuts and coffee go perfect together – especially when Kahlua is involved – genius!!! Oh, I Iove glazed doughnuts! Ooh I would love this for the concerts in the park in Austin! I like donuts covered in rainbow sprinkles! Heather, absolutely in love with your creation with Kahlua! I’m pretty sure THIS is my favorite flavor of doughnut now… have to make these asap! What a fun giveaway with the cute basket! Fingers crossed!!! Yummy! Homemade donuts are the best! e recipe,um that sounds delicious! Wow! Great picnic basket. It will be perfect to fill up with those beautiful Chocolate Kahlua Doughnuts and Kahlua Iced Coffee. I like plain doughnuts with vanilla frosting and sprinkles. These look DELICIOUS though. Goodness, Heather, these photos really remind me why breakfast is my favorite meal of the day. LOVE! You did a fab job on the Pinterest-friendly image text. It looks amazing too. Thanks for sharing. It’s always fun to see a spiked recipe on something you’d never expect, like doughnuts. 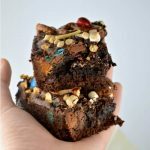 When I saw the name of the recipe, I got very excited! Can’t wait to try these! I’m usually not a huge fan of doughnuts, but I loooove Kahlua, so I think these could quickly become my favorite! 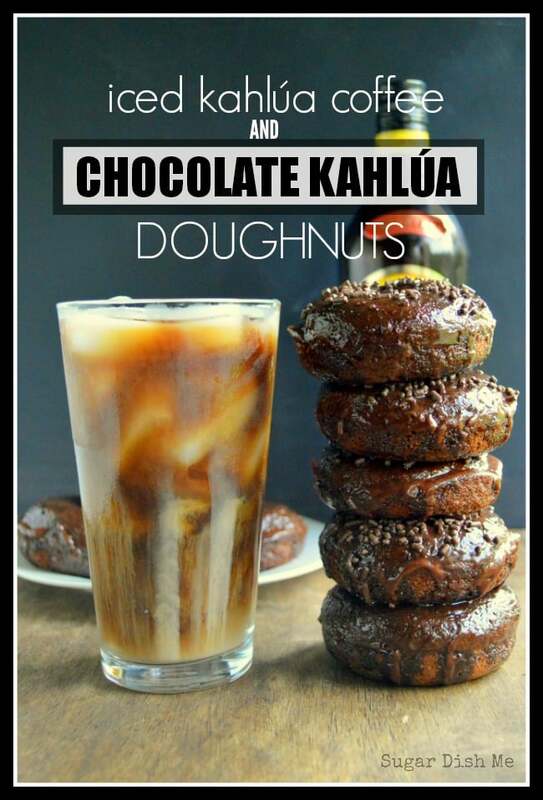 Your Kahlua Donut Recipe sound amazing! I’m a huge coffee lover! My favorite donut flavor is a blueberry cake donut or any type of donut that has sprinkles on it! Thanks for the fun giveaway! I love any type of donut, but my favorite is probably a french cruller with glazed chocolate a close second. This looks like it would top my favorite doughnut list…along with anything coconut. yummm. Chocolate cake donuts with chocolate frosting and sprinkles! I love doughnut holes and glazed chocolate frosted doughnuts. Love sour cream doughnuts!!! 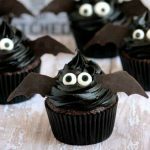 Gotta try make these! Normally, I’d say cake donuts are my favorite but I think these deserve a try! :) Definitely could be a new fav! I love glazed donuts. I can never seem to find decent ones around here though, might need to start making my own. OH!!! Sara — I just found a Krispy Kreme Copycat recipe yesterday — it looks totally accurate! It’s on my Dang Good Donuts Pinterest board. Wow! I’m sure these will definitely be my new favorite donuts. But other than these, I would have to say Apple Cider Donuts are my all-time favorite! Oh man — there is a cider mill near here that makes the freshest most amazing Apple Cider Donuts. I can’t wait for fall! I like most any doughnut, but the chocolate frosted with sprinkles are my favorite. So think I will like these. I hope you love them Erin! They were winners over here!